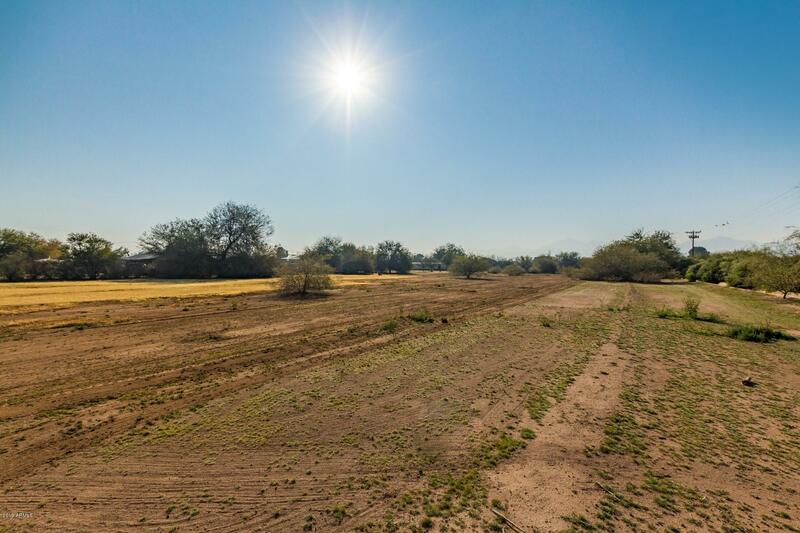 All County Island homes currently listed for sale in Gilbert as of 04/19/2019 are shown below. You can change the search criteria at any time by pressing the 'Change Search' button below. 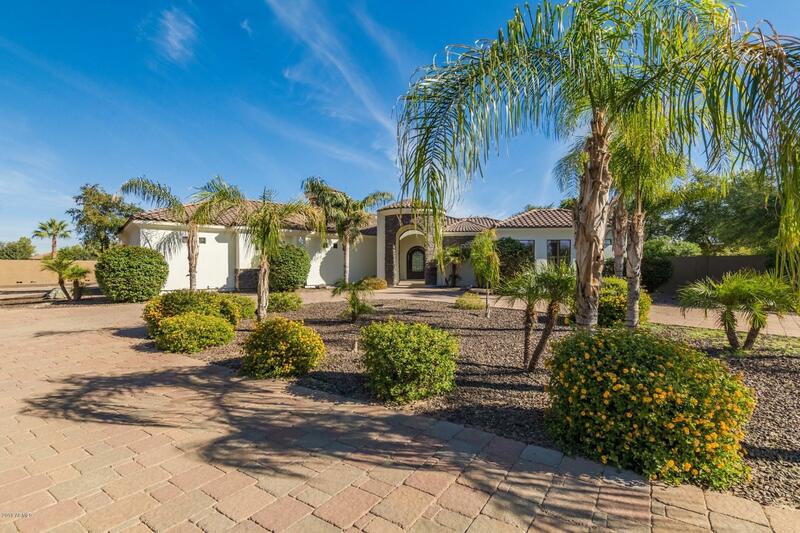 "Beautifully maintained home located on a Private County Island in South Chandler! Premium Lot on almost an acre of land!! This home features 6 large bedrooms (3 basement/3 main floor), 6 full bathrooms plus a large media room with Theater Seating, Surround Sound & Projector! All the bedrooms have walk in closets! Enjoy cooking in your oversized kitchen with a glass cook top and double ovens! Step outside to your new resort style backyard, perfect for entertaining! Mature trees line the propert"
"4388 sq ft under roof. If everyone you know always ends up at your house: you need to see this home. Large circular drive leads to paver courtyards with water features. Tons of parking for all your toys, RV, boats, trailers. 3 car garage, RV Gates and RV hook ups. No water rate increases or monthly fees this home is on a shared well. 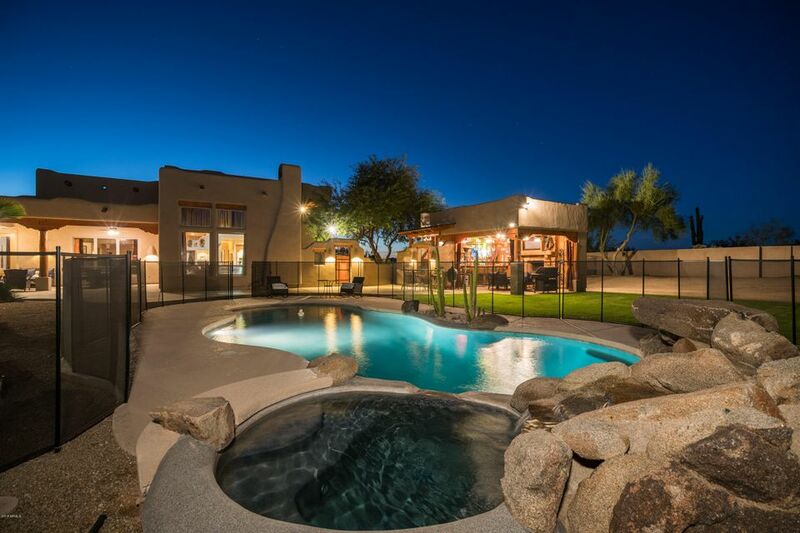 Incredible outdoor space with two-story cantina, diving pool and heated spa, with enough room for everyone. Covered patios and balcony. Soaring ceilings, kitchen o"
"Truly a one-of-a-kind property where every detail was addressed - from the curved steel beams to the in-ceiling spotlights for art illumination. From the bamboo ceilings to the custom pivot exterior doors. What you do with this wonderful work of art is only limited to your imagination. Maybe you make it your own private compound or your public show piece to display your collection. Enjoy the pictures and do yourself a favor and watch the video. The document tab boasts a full list of the home's"
"Updated pictures 3/30/19. Gorgeous Luxury Masterpiece! NO HOA! 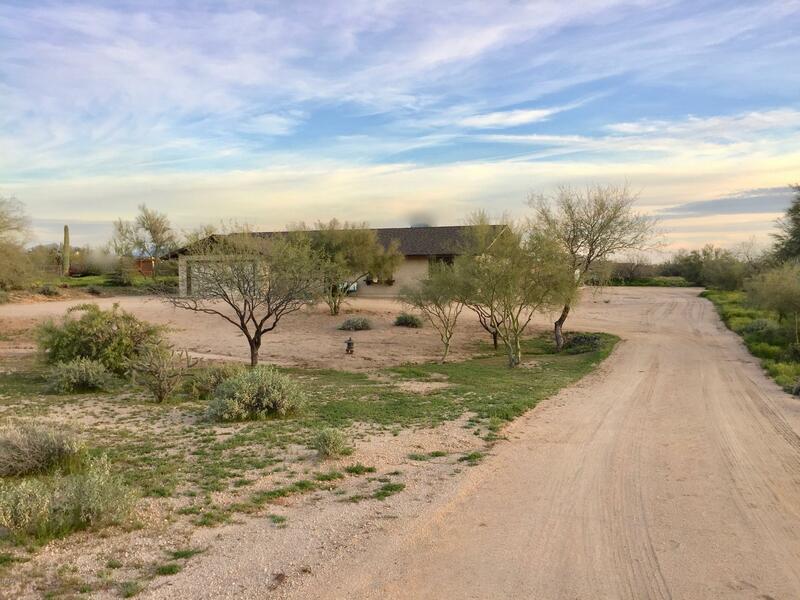 MASSIVE 50'x55' RV GARAGE w/ casita! Backyard paradise w/ custom pool, outdoor kitchen, huge patio, fire pit, grass and garden area all on 1 Acre Lot! 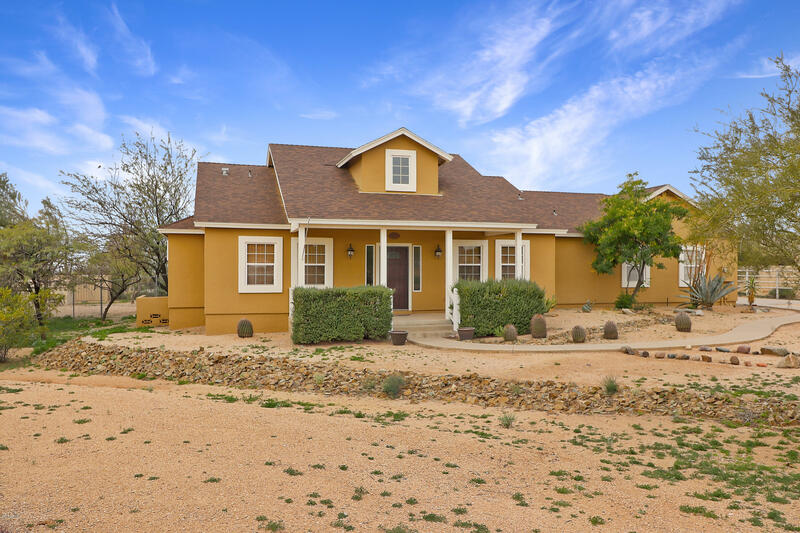 4 bedrooms, an office, 3 full baths, 1/2 bath, formal dining & breakfast area. Huge great room off kitchen so everyone is part of the action. Soaring ceilings at entry! 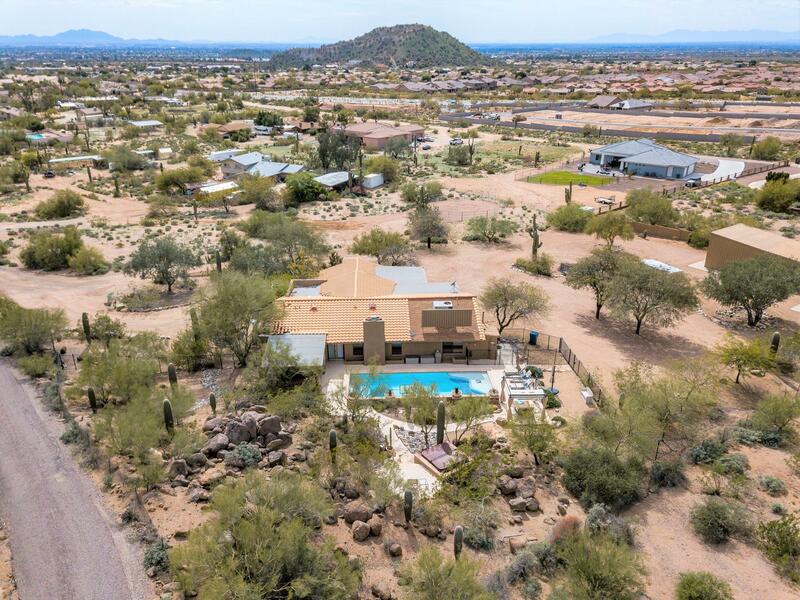 Gourmet kitchen to meet the chefs needs; gas cooktop, granite counter tops, tons of counter space, large island, pant"
"Gorgeous new home on large lot in heart of Desert Foothills area. 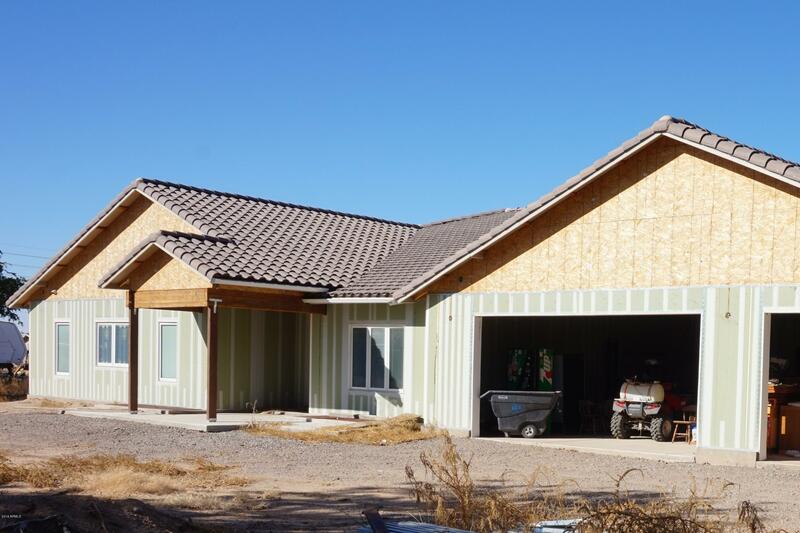 This beautiful new construction home is move in ready. This Great floor plan offers 5 bedrooms and 3 1/2 baths. The Kitchen offers high end appliances, a large island, along with tons of custom cabinets. Polished TRAVERTINE flooring. The formal dining room has French doors opening to the private entry gated courtyard with an outdoor gas fireplace. The master bath is highly appointed with double vanities and a makeup area with a st"
"Gorgeous CUSTOM LUXURY BASEMENT home on 1ACRE lot with NO HOA! Every upgrade imaginable! Gourmet kitchen has Jenn-Air gas 6 burner stove w/ a griddle, pot filler, large kitchen island/breakfast bar, stainless steel appliances, built in micro & fridge, pendant lights, granite, high end cabinets, undermount sink, tile backsplash, walkin pantry & more! 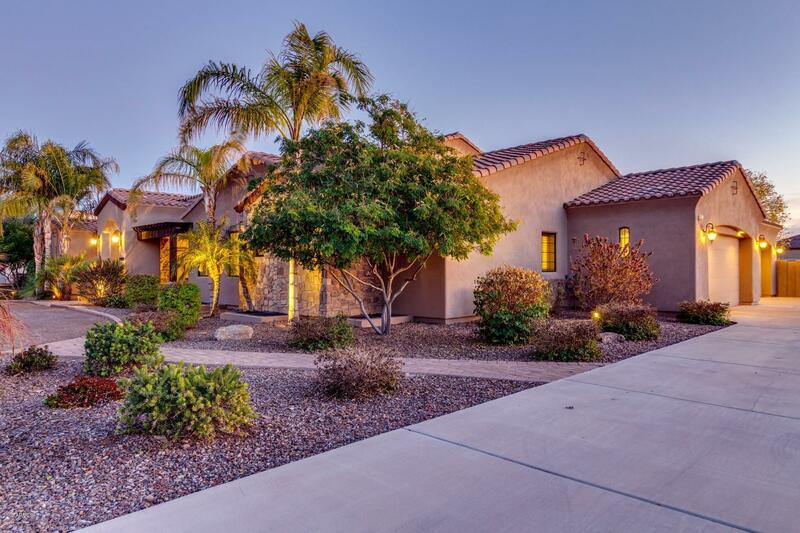 5bed, 4baths, den, formal living/dining & BASEMENT! Amazing 14 foot ceilings! Solid Alder doors! Huge laundry room with tons of storage! Fireplace i"
"Amazing rural horse property on over an acre on COUNTY ISLAND, close to freeway, shopping, and fine restaurants! 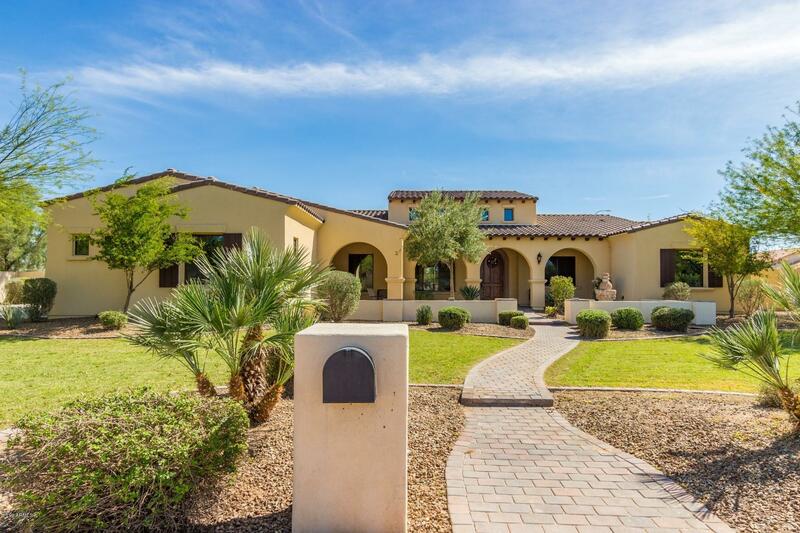 This Tuscan-style CUSTOM home is perfect for a large family and in-home business,s, has BASEMENT and OBSERVATION DECK overlooking city lights, mountains and spectacular sunset views! Featuring an OPEN/SPLIT floorplan w/Great Room design,6 bedrooms (most with walk-in closets), 4.5 baths, den, a huge BONUS/GAME room w/wet bar, 2 LARGE STORAGE rooms, OVERSIZED 3 car Ext Length Garage an"
"Need space for your toys and animals with city light views? Then this is a ''Must See'' property on 1.2 acres that will amaze you! 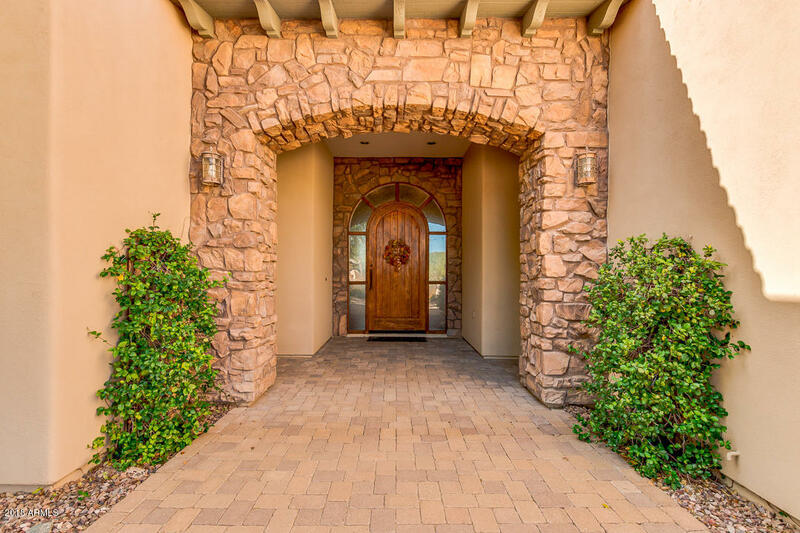 You will be greeted by your quaint open patio entry with adobe fireplace. Very private 5 bedrooms, 4 bath, room for many to spread their wings. Kitchen offers, Knotty Alder Cabinets, stainless steel appliances. Relax in your finished full-size basement with an entertainment room with custom cabinets for media/electronics, stone fireplace, wet bar with cabinetry & sm"
"OK! Here's a good one ! A surprise awaits you upon entering this bright, open spacious and spotless 4 bedroom(split plan)2 bath home on 1.25 acres. 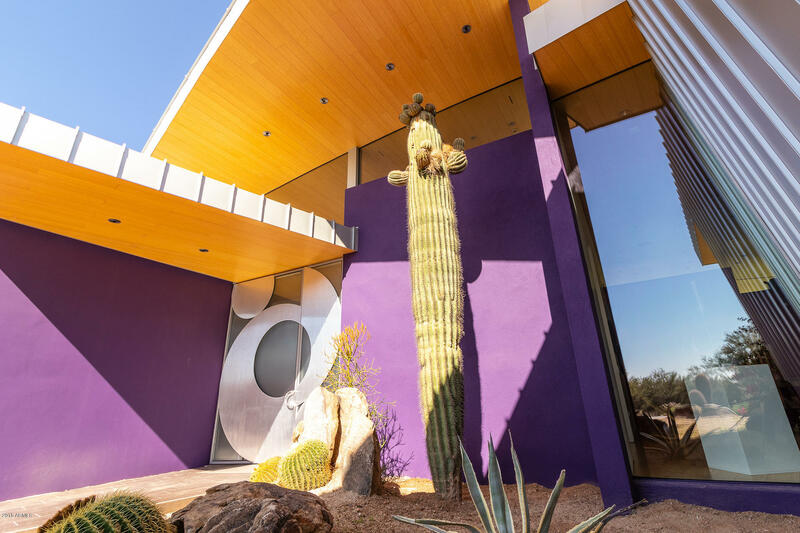 Terrific southwest flair, designer colors, and desert charm. Move-in-ready, no steps. Impressive open floor plan, high ceilings, Pella windows with blinds between-the-glass.Cozy wood burning fireplace in great room, niche for your art and treasures, ceramic tile floors & carpeting. All electric kitchen, granite counters/back splash, pantry. Swell mas"
"Thistle n Bloom... 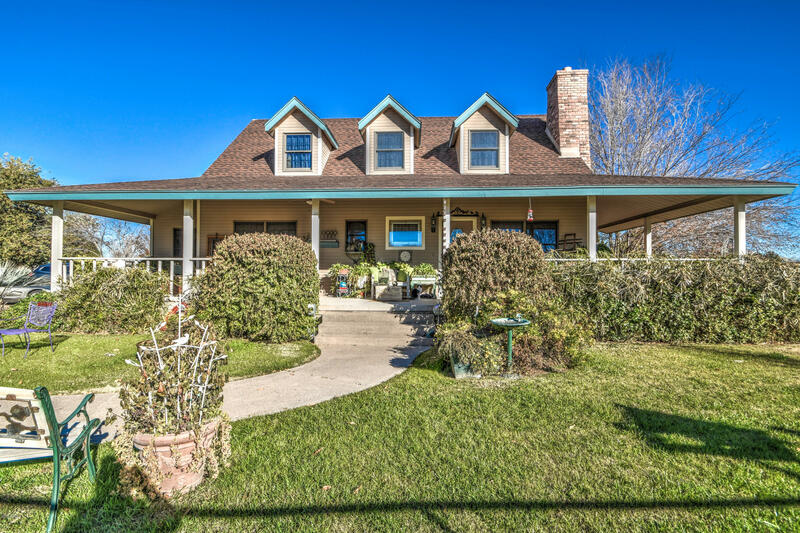 This mature tree lined lush 1+ IRRIGATED Acreage Property is the Definition of Western Elegance. 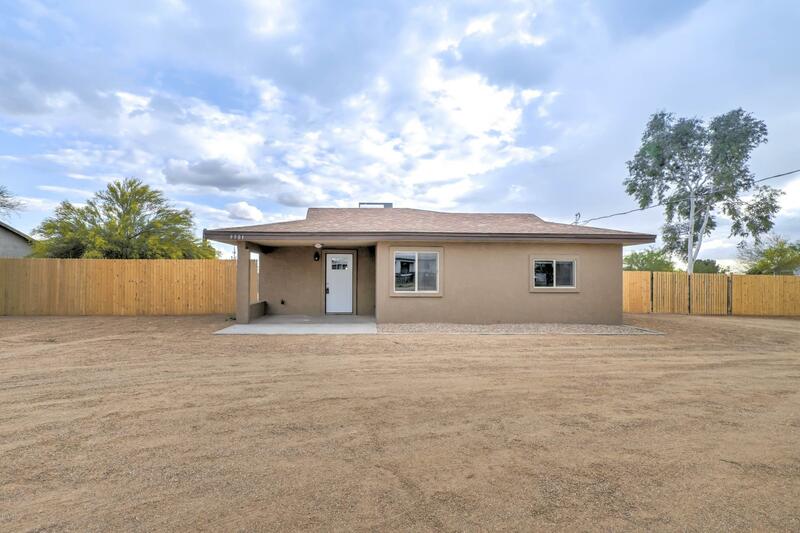 This 3Bdrm + Den, 2 x 6 Constructed, Custom Home w/ blown insulation has been immaculately maintained by its Sole Owners. 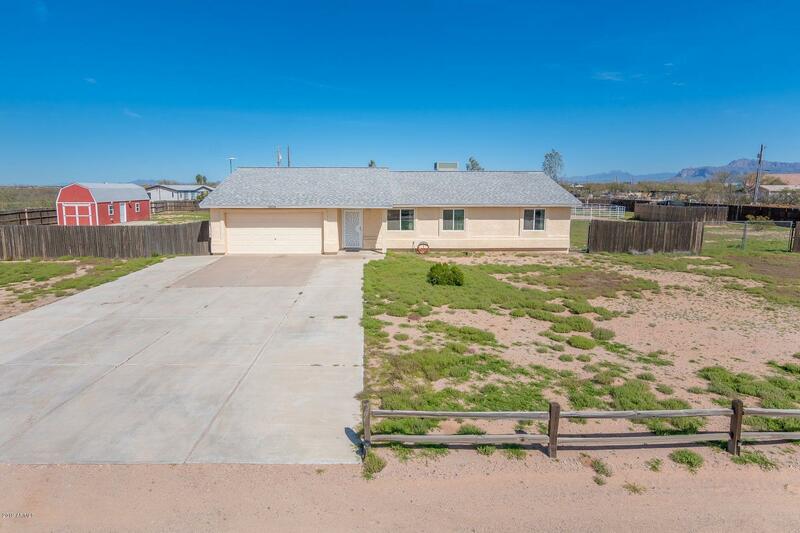 The exterior, is outlined w/ Upgraded steel piping & Horse fence, enclosing multiple turn outs w/ RV Gates & RV Hookup(40 Amp Service) as well as an Over height lighted 4 Flexible Stall Size Mare Motel(Livestock Enclosure) w/ Cooling Fans, Stall Mats, Automatic"
"Priced to SELL ! Darling country farmhouse in desired county island with paved access to home.. With a new AC unit in 2018, new roof in 2013, and water heater in 2015 you are ready to update the inside to your hearts desire. 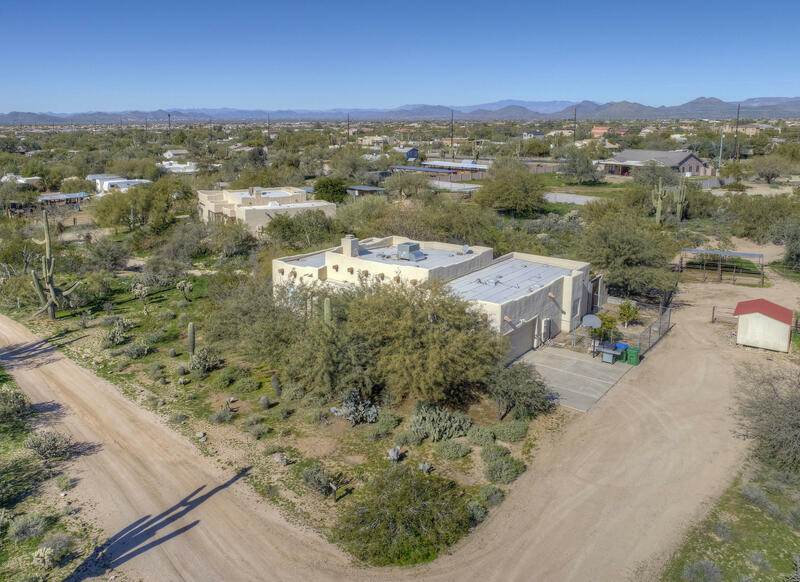 An acre + lot offers room for just about anything; horses, casita, workshop, and an RV hookup is available. A fenced backyard, relaxing back patio with built-in fire pit to spend evenings. Covered back porch has newly replaced decking ( 2018 )and misters. Walk inside to newl"
"Yippee-yi-yo-ki-yay! LOCATION! LOCATION! LOCATION! Rare ''County Island'' home. Prime Cave Creek / North Scottsdale area. 1+ acre! Clear, level, useable 150'x330' parcel. No HOA! Not in a Flood plain! No major Wash! 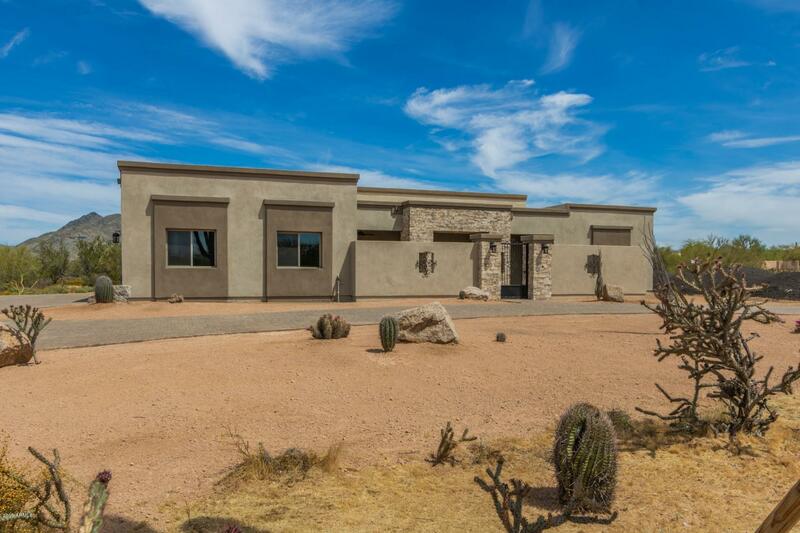 Enjoy open expansive desert views of Black Mountain, the McDowell's, and Arizona skies! Low taxes! Cheap City of Scottsdale water & underground utilities. Room for two 150'x50' Turnouts, Round pen, and stalls! 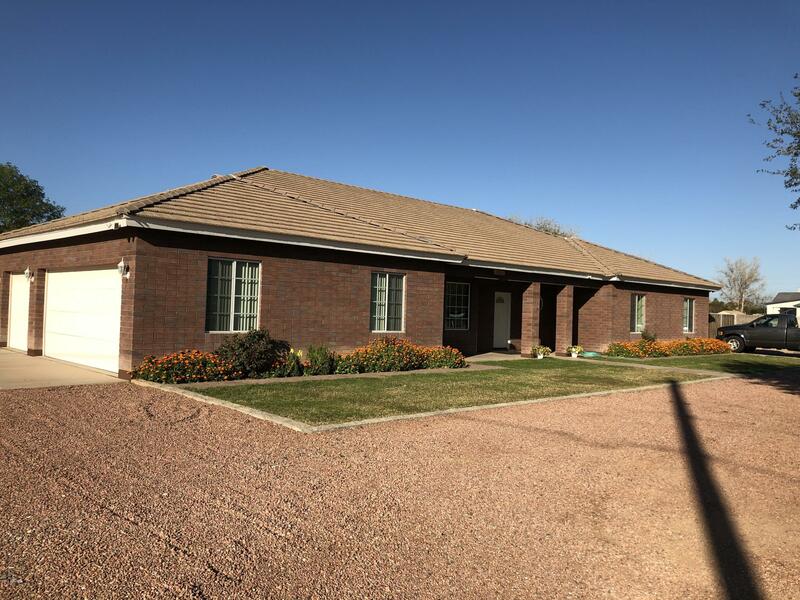 Pole Barn valued at $50,000 is big enough for horses, toys, boa"
"Beautiful Horse Property in the heart of East Mesa close to freeways, shopping, dining. 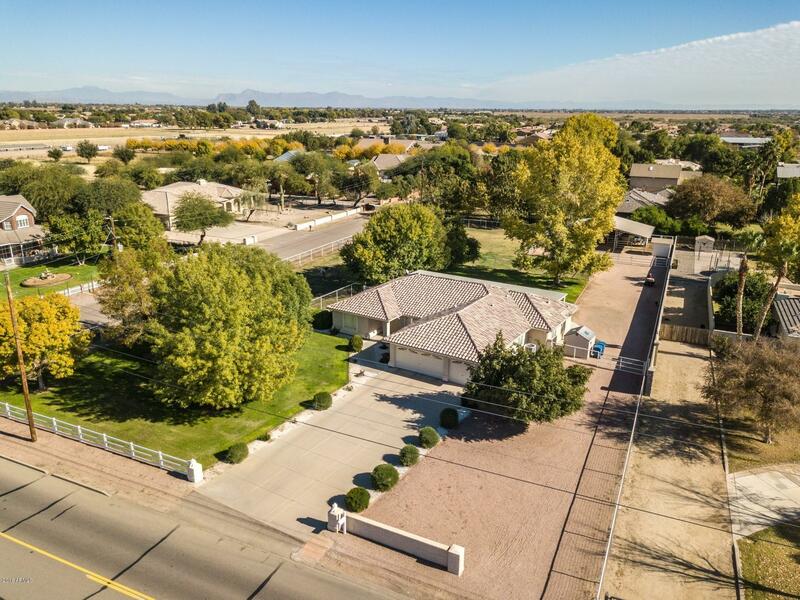 Oversize lot is more than an acre and no HOA make this the perfect home for horses or all the toys you want. Horse amenities include an arena, three separate stalls with auto watering, tack shed, and an additional Tuff Shed that can be used for feed/hay storage or a mancave or even a workshop with additional storage loft. Inside the home you'll find three spacious bedrooms, updated kitchen and bathrooms, ove"
"This home has so much to offer. This home looks amazing with new roof, new AC, new windows and new stucco. The inside looks great with new paint inside and out and 20 in. staggered tile in all the right places. The kitchen looks incredible with new kitchen cabinets, granite counter tops, stainless steel appliances and tile back splash. The bathrooms look amazing with new vanities, granite counter tops and tile surrounds in the shower and bathtub. This lot is HUGE and has plenty of room for "